The Statement of Cash Flows (SCF) is the lifeblood of any medical practice. It summarizes the effects of cash on office operating activities during an accounting interval. In periods of rapid growth, as can occur with the acceptance of some managed care contracts, increased revenue actually equates to less cash and potential trouble in terms of practice survival. Therefore, accurate Cash Flow Analysis (CFA) will allow the physician executive to determine the effects of past strategic business decisions in quantitative form. The accurate and proactive nature of this analysis may spell economic success or failure in the competitive healthcare 2.o environment. Accelerating the healthcare cash conversion cycle is a desirable business goal, especially if collection occurs at the point-of-contact. And, consumer-driven health care [CDHC], high-deductible health plans [HDHPs], medical and health savings accounts [MSAs/HSAs] are changing the rules of revenue cycle management for medical practices, clinics, outpatient and retail medical facilities, and hospitals. In fact, compared to other industry segments; medical payment processing remains extremely inefficient. For example, the retail segment settles payments for less than two percent of revenue, and financial services settles payments for less than one percent. Some health economists even estimate that if health care could settle payments even for 10 percent of revenue, savings would exceed $100 billion. Recondo Technology and its SurePayHealth™ Payment Processing system was formed to build tools that help hospitals, offices and medical clinics accelerate patient payments and streamline claims to payers; especially in the emerging CDHC and Direct Reimbursement model of US health care. The company is a pioneer in verifying patient information, financially approving and clearing patients, predicting payment accurately, and automating the Medicaid/ and charity approval process. It offers real-time access to information that ensures payment sources for services are properly identified prior to, during, and after care delivery. 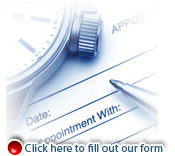 It also provides insurance and billing statement processing. Most retail banks just raised cash management fees, on an industrial average, of 3.6% in 2010. So beware; lockbox services, ACH debit card transactions, and checking overdraft fees are higher, as well. a. “Federal Register 42 CFR Parts 405, 413, and 415 (Vol. 56, No. 227, November 25, 1991): Medicare program, fee schedule for physician services.” Department of Health & Human Services, Health Care Financing Administration. (410) 966-4494.
b. “Medicare RBRVS: the physicians’ guide.” (annual) American Medical Association. 515 North State Street, Chicago, IL 60610; (800) 621-8335. http://www.ama-assn.org. c. “Annual Report to Congress.” (annual) Medicare Payment Advisory Commission (MedPAC). 2120 L Street, NW, Suite 200, Washington, DC 20037; (202) 653-7220. http://www.medpac.gov. d. “PMIC, Physician Fees: a comprehensive guide for fee schedule review and management. Practice Management Information Corporation (PMIC). Corporate Office, 4727 Wilshire Blvd., Los Angeles, CA 90010; (800) 633-4215.
e. “Reforming the Health Care System: State Profiles.” (annual) American Association of Retired Persons. 601 E Street, NW, Suite 600, Washington, DC 20049; (202) 434-2277. New federal standards designed to streamline electronic insurance claims are instead slowing them down, hurting physician cash flow and pushing some practices into financial distress. Susan Turney, MD, the president and chief executive officer of the MGMA, urged HHS to postpone enforcement of the HIPAA Version 5010 standards for electronic claims and other billing transactions such as requests for claims status until at least June 30. In the meantime, physicians and insurers should be allowed to do business electronically based on the earlier Version 4010 standards.